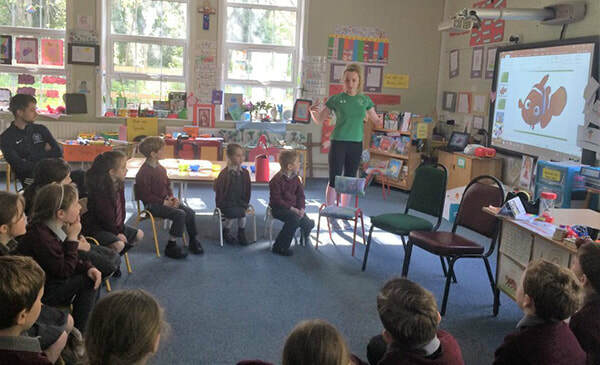 ​On Monday 8th May, Edmondstown National School was delighted to welcome Ellen Keane to speak to the children. 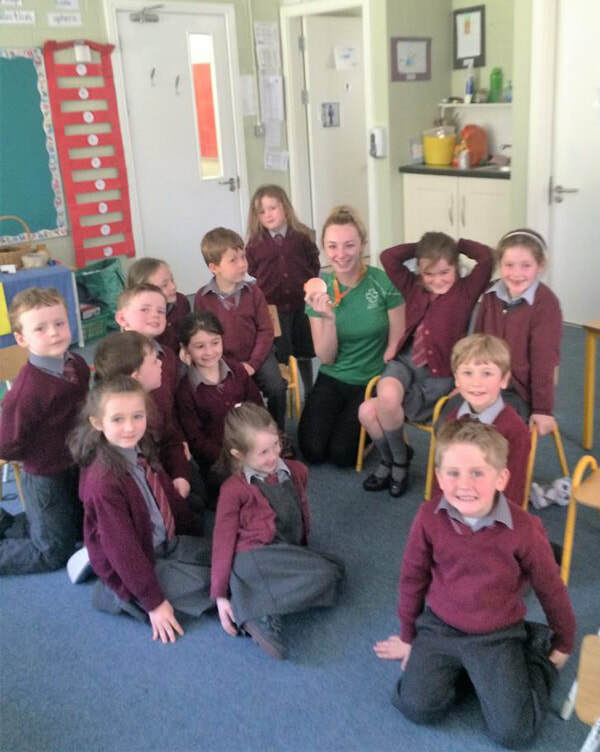 Ellen brought in the bronze medal that she won in the Rio 2016 Olympics. The children were fascinated to learn that the medal made a noise and also that it had braille on it. Ellen showed us the video of her winning her swimming race and explained how proud she felt. She told us never to give up on our dreams. With hard work, anything is possible. ​Ellen showing us her video and explaining how her arm is like Nemo's little fin.